Archived files from the Doncaster Rail Study, as the website has now been conveniently (politically) shelved. PTV Rail feasibility studies: The Doncaster Rail Study was an independent assessment of the requirements of constructing a heavy rail line to Doncaster. The final Doncaster Rail Study Phase One Recommendations Report was released on 28 October 2014. 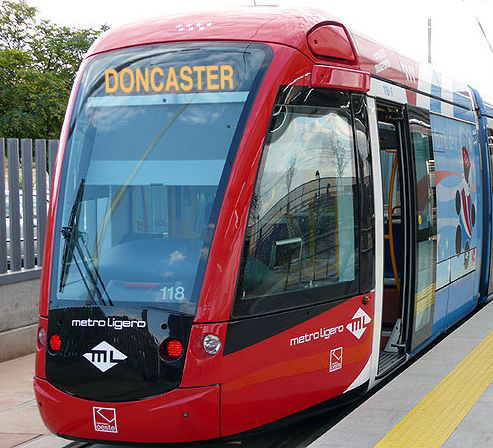 Phase One of the Doncaster Rail Study was delivered through a partnership of four key engineering firms, led by URS, with a number of supporting sub-contractors. Fact: The tracks from Clifton Hill into the city operate separately from the rest of the network and by Melbourne operating standards can handle 24 trains an hour. This provides room for Doncaster trains every 10 minutes as well as an expansion of services to Hurstbridge and South Morang. A train line heading north east to Doncaster and beyond was part of the 1969 Melbourne Transportation Plan. In the 1970s a corridor for it was reserved in the median of the Eastern Freeway, and remains in place as far as Bulleen. Originally this reserved corridor extended beyond the freeway and as far as Templestowe, but since the eastern section was sold off in the 1980s, any extension beyond Bulleen would most likely need to be in a tunnel. In mid-2011, Yarra Council welcomed the State Government’s announcement of a $6.5 million study into establishing a rail link between Doncaster and the city. Council has campaigned for years for the creation of a rail line to Doncaster as the only real, long-term way to ease traffic congestion in Hoddle Street and other Yarra streets. Council believes the 600,000-plus people who live in the Doncaster region need a real choice about how they travel rather than leaving them dependent on cars which pollute and congest the Yarra community. A key issue is the absence of any public transport the full length of Alexandra Parade, despite this carrying 70,000 vehicles per day, and the underdeveloped land use along Alexandra Parade. However, would light rail if built, preclude building the Doncaster Rail Line? Write to politicians and the papers. Contact Pt4me2.org.au – an initiative of the Metropolitan Transport Forum and tell them to promote the Doncaster Rail project.